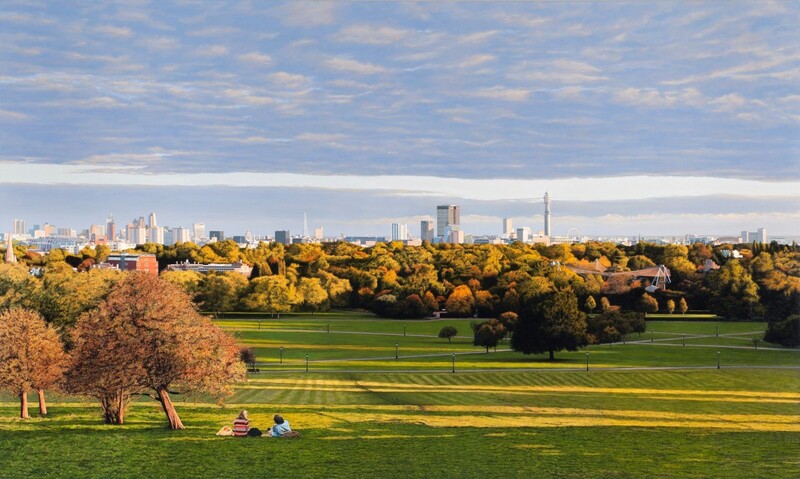 Work: Marsh's body of work consists of large scale paintings, which explore composite views of various cities around the world. Publications: “Exactitude - Hyperrealist Art Today”, by John Russell Taylor, ed. by Maggie Bollaert. “An Alternative Viewpoint” in: WLVdialogue. 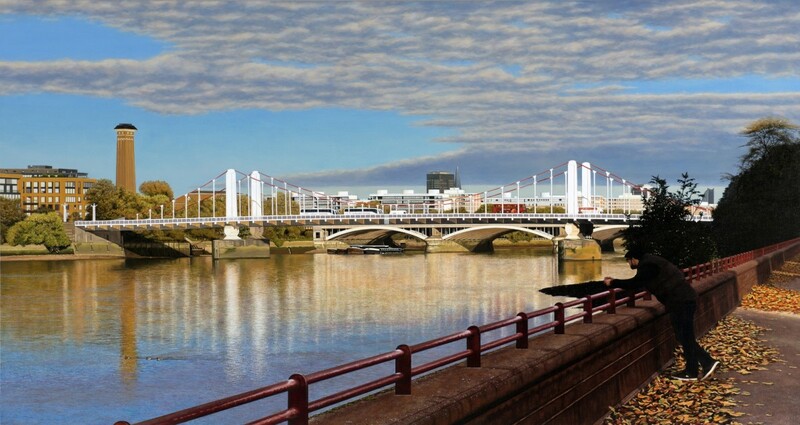 “Photorealist Paintings: Art Exhibitions” by Stephen Albrow. "Christian Marsh has been described as one of the most 'humane' (in the proper sense of the word) of all hyperrealist artists. For the people in his superb paintings are not impersonalized ant-like beings, who merely serve the technical purpose of clarifying scale; but in contrast, are based on and portray genuine human emotions and concerns. This narrative provokes questions from the viewer such as who are they, and what are they doing- and it ultimately enriches and adds vivacity to his work." 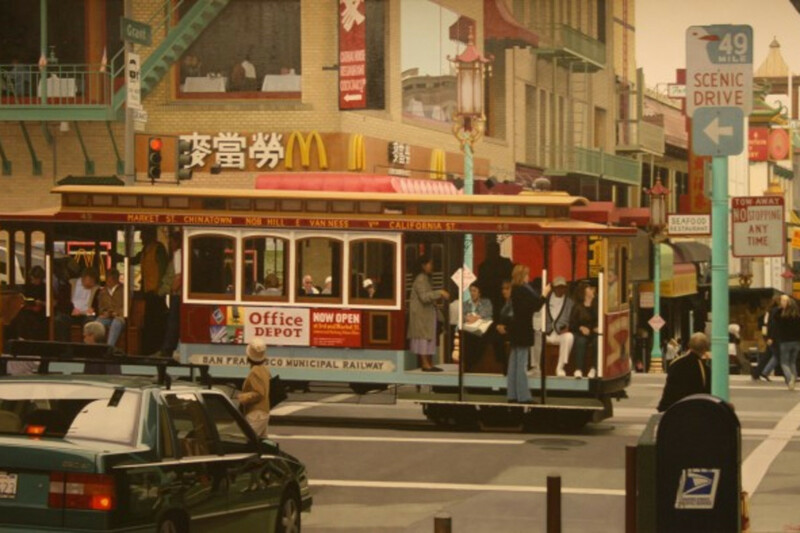 Christian Marsh is an urban landscape hyperrealist painter who bases his work on photographs taken on his travels to various European and American cities. He uses photography in a documentary manner, which allows him to fix compositional information, lighting and moving objects. Using a number of images taken at the same location allows Marsh to edit, add, and remove information at will. This results in Marsh’s work being a composite view which would not be possible from one image. His work exhibits sharpness from foreground to background, which gives a distinct vision to his work. Marsh has often been described as a "humane" hyper realist as he adds narrative to the humans in his oil on canvas paintings, conveying genuine human emotion and concern rather than using them to simply clarify scale. His intention is to invite the viewer to speculate about each human's activity and to present a comprehensive record of a particular location at a particular time.